Nothing's better than fully immersing yourself in your favourite music. 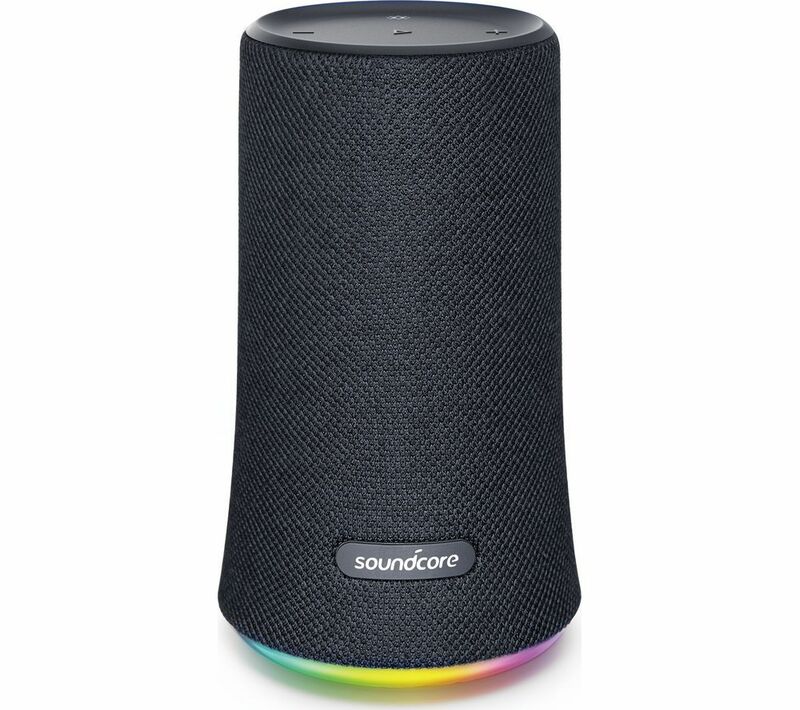 With back-to-back dual drivers, the SoundCore Flare Portable Bluetooth Speaker delivers 360° audio so that you can enjoy your playlists no matter where you are - from grooving in your living room to sharing your music at a family picnic, you'll be able to hear every note clearly. BassUp technology lets you adjust the EQ and driver configuration to enhance the bass - you'll feel the beat and be dancing in no time. To enhance the party atmosphere, the speaker features a halo of LEDs that react and phase in time to the music. 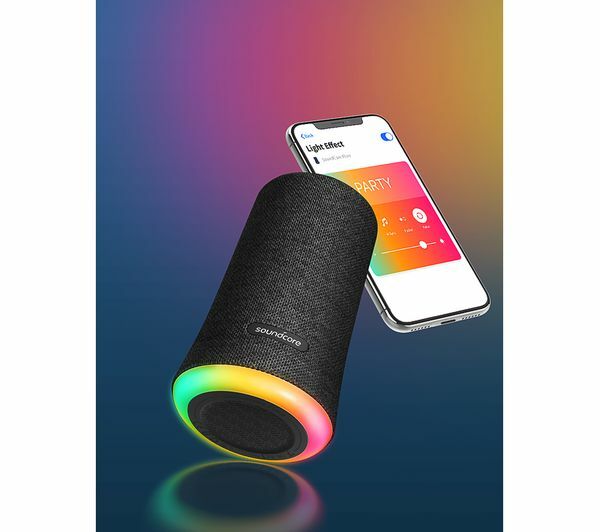 You can connect your Bluetooth-enabled devices wirelessly to the Flare Speaker to share your music without having to leave your phone lying around. With the SoundCore app, you can customise both the sound and lighting to create a truly personalised music experience. Why not connect another Flare speaker to create stereo sound or boost the volume? Take the music with you wherever you go. The Flare is waterproof so you can listen while relaxing next to the pool. Fantastic little speaker - ideal for my teenage son and the lights are a pleasant bonus. The quality of the sound is very good for the size of the speaker. The Soundcore app allows me to control the speaker and set the equaliser and light functions as well as volume and bass. Which recommended so decided to buy as result. Great product I highly recommend it.